The premiere of Seven’s new cooking show, Hell’s Kitchen, captured 817,000 metro viewers but failed to beat The Block, with the Nine show dominating its time slot to become the most watched entertainment program of Sunday night. Featuring celebrity chef Marco Pierre White running a restaurant staffed by a team of celebrities, Hell’s Kitchen managed fifth across all key advertising demographics – 16-39, 18-49, 25-54. The show’s commercial partners include Aldi, Airtasker, Diageo, Sony Pictures and Lurpark. Meanwhile, Nine’s The Block was up from last Sunday’s debut audience of 1.117m metro viewers to 1.212m metro viewers, and dominated all key ad demographics, according to OzTAM’s overnight preliminary ratings. 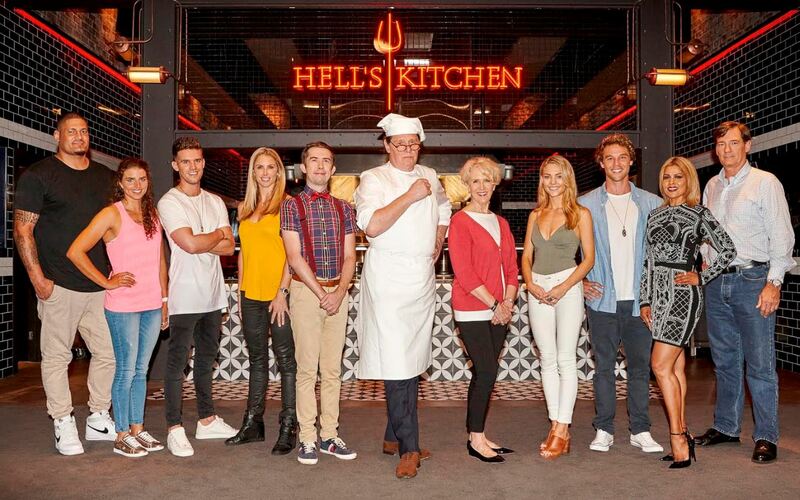 While Hell’s Kitchen didn’t beat The Block, both shows were well ahead of Ten’s Australian Survivor, which slipped to 606,000 metro viewers in the 7:30pm time slot. Last night, Ten screened the show across three channels, Ten, Eleven, and One, allowing for a consolidated ratings figure. Ten’s Australian Survivor debuted last Sunday with 639,000 metro viewers, down 144,000 metro viewers from last year’s debut. Across the key ad demographics, Australian Survivor was third in the 16-39s. While the reality shows performed well, it was Seven and Nine’s news offerings which attracted the most viewers last night. Seven News captured 1.353m metro viewers while Nine News Sunday had 1.169m metro viewers. ABC News Sunday was the network’s most watched program, with 773,000 metro viewers. At 8:30pm, Nine’s 60 Minutes pulled 793,000 metro viewers, ahead of Seven’s Blue Murder: Killer Cop’s metro audience of 717,000. Ten’s Bull, which aired at 9pm, averaged at 303,000 metro viewers. The average audience shares placed Nine just ahead of Seven for the night, with a 23.3% share over 22.1%. ABC’s share was 10.9%, which was larger than Ten, which slipped to an average audience share of 9.6%. SBS’ share was 4.7%. Just to think the thousands of promotional dollars that have been wasted on this programme, it is a shame we can’t come up with something a bit more original and entertaining. Capped of a poor day for Chan 7, delayed broadcast of Eagles,St Kilda Match, it would have been a great game to watch, if it hadn’t been played 4 hours earlier. Surely the penny must eventually drop, these band wagon passengers who continue to present time wasting fillers consisting of culinary practices, and featuring chefs who may be, and cooks who are not, must eventually come to the conclusion that the kitchen has been done to death, and the public, fooled for so much of the time, have finally had enough. Wow The Block is still a thing? Never understood the block’s appeal. But then again I’m very much enjoying this years Survivor. Different strokes for different folks.